Discussion in 'iPhone and iPad Games' started by zhugx29x, Jul 12, 2016. 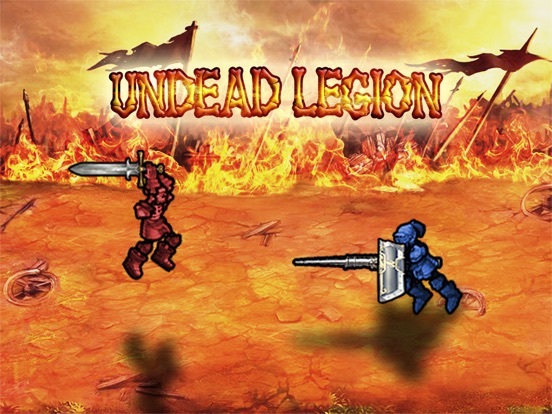 Lead your undead legions to rage through the land! 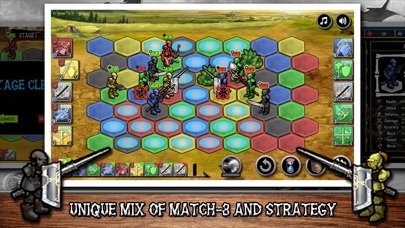 Undead Legion is a brand new strategic puzzle game that had never been seen before! Move your legions to swap tiles. 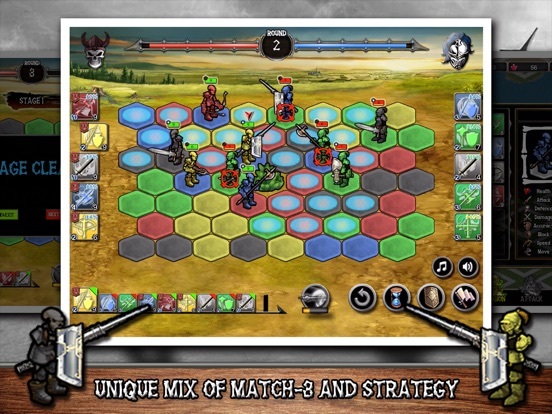 Your legions will be strengthened by combining tiles of the same color.Then use the skill to deal a fatal blow to your enemies. 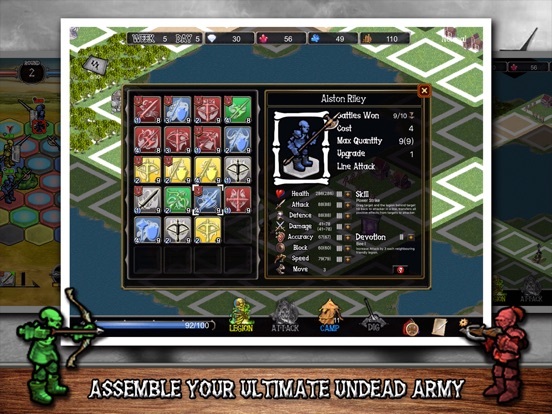 Wipe out the enemy and flayed them into Skeletons for your undead legions in thrilling tactic gameplay.7 classes, 5 colors, 14 devotions and random ability provide infinite possibilities for the establishment of your undead army. 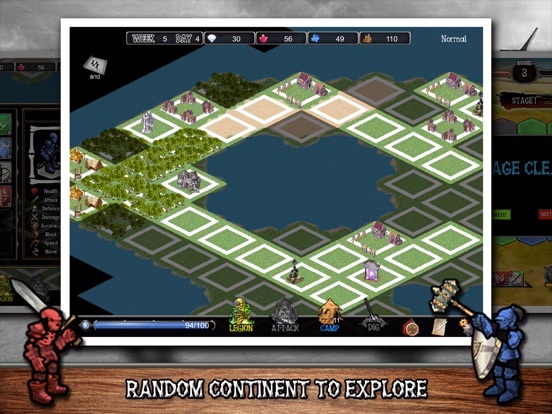 Collect treasure map by winning battles on the random continent. Find out the treasure and gather legendary items.Your army will be more powerful by these legendary items. Induct your favorite legions into the Hall of Fame, and challenge the survival mode with them. 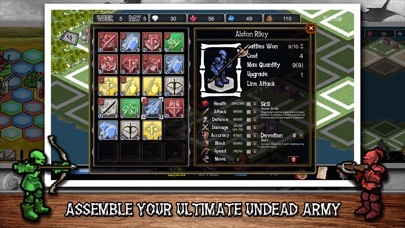 UNDEAD LEGION is a premium game with NO ads or in-app purchases, and it does NOT require a permanent internet connection. zhug - the developer - was kind enough to provide several promocodes for TA. I took one, will be back with first impressions later today. Totally missed those codes, please let us know, it looks very interesting. Alrighty, fasten your seatbelts and put your trays in the upright position Here we go, a few first impressions after playing for 20 minutes or so. This could be something good, but sure has quite a learning curve. Nothing you can pick up and play just so. Rather careful recommendation if you like this kind of game and don't mind quite a few - admittedly not major, but rather annyoing (to me at least) - issues and having to learn the ropes the hard way. Story itself looks interesting enough at first glance. Have to see how it turns out and what they did with the Undead angle for a final verdict. Notably, this does NOT require a permanent internet connection. @zhug: I recommend to point this out prominently in the Appstore description, quite a few people like when a game is playable offline. Graphics are okay on an Air1. Nothing spectacular, and they look like they are scaled up from smaller resolutions. But not eye-killing - like those horrible pixel graphics everyone seems to love - either. Solid, but nothing special. UI is good and easy to work with. Some elements like the confirm/cancel or rightside buttons for system menu, legendary items, record could be a good bunch bigger. The Legion, Attack, Camp buttons have the right size to work with easily. Different unit classes have different and easily distinguishable icons, which is nice. Each class has an active and a passive skill, nice detail that the passives are named after various animals. They also all have names, another nice touch. However, the names could be a bit more creative, stuff like "Mark Davis" or "Rachel Werner" sounds just too ... mundane. You drag a path to move each unit, which I find not that easy to do with the rather large unit icons and them being pretty crowded together to boot. 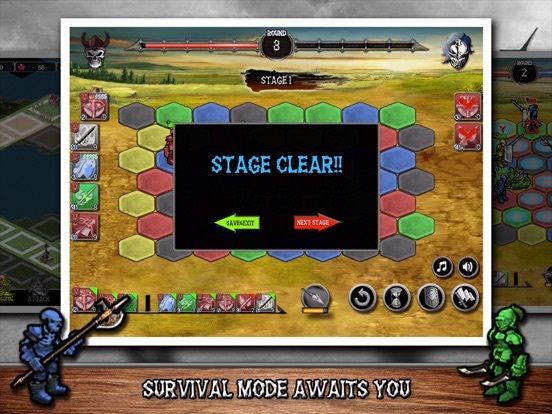 The first post has app screenshots of the combat screen, so I'm not including one for now. Look at e.g. King's Bounty the Braveland series for how to do this interface right. Here it still needs quite some work to get even a "good enough" from me. Apparently the more stuff you match, the faster your unit's skill bar fills up. But I couldn't figure out yet how it works exactly. The AI cleans a ton of squares on its turn, while I struggle to get a simple match-3. Pretty sure I am missing something here. Nonetheless, when you have a non-standard mechanic like this, you absolutely need to explain in detail - and ideally with an interactive example - how it works. Also, I couldn't figure out if there is a per-unit initiative determining the turn order (pretty bog standard for this type of game) , or if it's a "my turn - your turn" thing. Tutorial should definitely give you more detailed hints how the match3 mechanics for combat work. Things like what to do when a unit levels up or when you find a piece of the treasure map are not relevant at the start. Instead of having them in the intro tutorial, they should be shown when they become important. First tutorials should describe how combat works etc. - Tutorial font I find very hard to read, and it looks rather pixelish. I strongly recommend to change it to something more readable. Screenshot attached. - Tutorial/intro text has quite a lot of typos, should be cleaned up as it doesn't look professional. - Sound could be a bit louder: this is one of the few games where I need to crank the volume up further than to a 1 or 2. This already got quite a bit longer than I expected, so I'll stop for now. Might come back later today or during the week with more, depending on what my free time allows. Unrelated: What is "posting game impressions"? Does anyone know what "are you posting game impressions" does exactly when you set it to "Yes"? First time I used it, but the description doesn't tell me much. Also updated my earlier post to use the Braveland series as example for good UI, better than King's Bounty for that. And included a sentence about initiative or the lack thereof. I just won the first battle, but still have no clue how the match3 mechanic really works. When you win, you get to pick one of the enemy units to raise as Undead to bolster your army, which is a rather nice touch. In my case, I got offered a few Unit Classes that I didn't have yet. Would have really liked to see their class description to figure out if I want one of those, or just add a few more to e.g. my standard Infantry. Also, I dare say the starting army is a bit too large, which makes getting into the game more difficult (despite having quite a bit of experience under my belt). The general approach (again, see the Bravelands for comparison) to only have 1 or 2 different unit types at the start I consider to be the better one. Thanks for the indepth first impressions Nullzone. This looks like a game I would like, though after reading I think I will wait to see if the dev is responsive to your comments. Same and my sincere thanks as well. Does anyone know what "are you posting game impression" does exactly when you set it to "Yes"? First time I used it, but the description doesn't tell me much. Once upon a time we had the idea to offer the ability to filter threads so you'd only see the posts that were marked as "game impressions." So theoretically, if you wanted to know about a game without having to read all the "Instabuy!" and "free to play is the devil!" or whatever other posts that weren't directly gameplay related, you could enable that option. I'm not sure what ever happened to it or why we didn't end up implementing the feature fully, but that was the idea behind it. Intriguing! Sounds like it is no longer a possibility, but one significant limitation is that you do not get this question when posting via app. Thank you for your response, I'm so happy to hear your thoughts. Your opinion is helpful to me. Maybe I should redesign tutorial as it seems doesn't work. @stubbie, @houseofg, @zhug: Thanks for the nice words. I got the game for free, so giving good feedback is the least I can do. @zhug: Fully agree, improving the tutorial should be highest on your list. Possible UI changes are a lot more work, and I don't even know if you want to do those. Especially as I don't know what you were going for here. E.g. if you just wanted to make a fun little game (bonus if people like it and buy), or if you try to make a living from it. @boardumb: Thanks for the explanation. I never noticed that the game impressions feature doesn't work. Just assumed that noone uses it. Of course, your UI suggestion is helpful too. I will fix it in the next update. Tutorial is more troubled me then UI problem, as I'm not good at expression and my english is far from perfect. Indeed, I'm trying to make a living from it. Thank you for your reply, I like this style of music, so use it in the game. 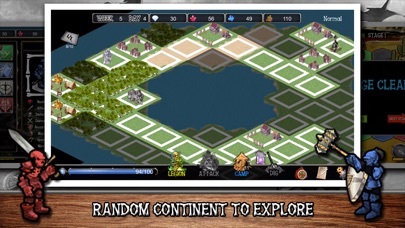 So, crash aside The Game has a nice idea, but not so much well implemented. Thanks for your suggestion, I will redo the tutorial, maybe a training stage will be added to the game in the next updates. I really want to buy this and play. I really like the idea. But based on the comments, I'll have to wait for an update. 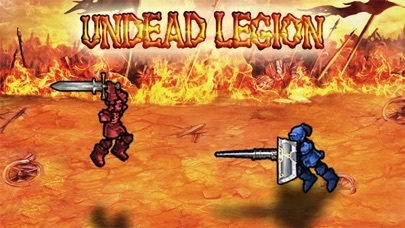 A new update of Undead Legion version is released today to Apple! 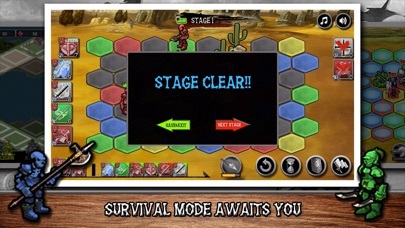 - Improved gameplay and fixed minor issues.